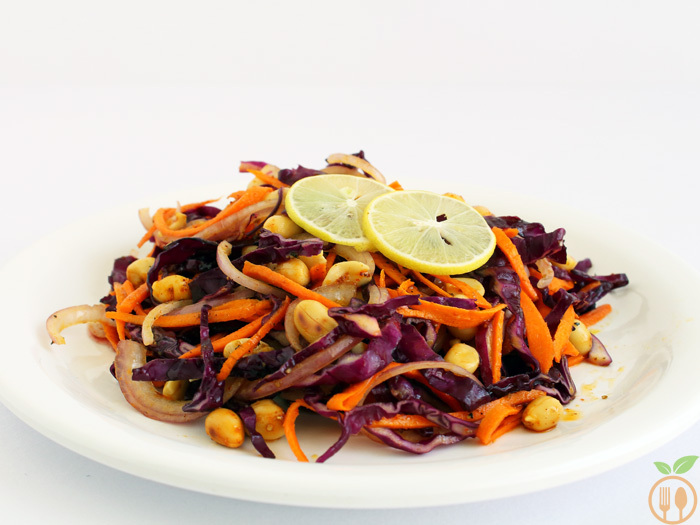 Asian Red Cabbage Salad – Shredded red cabbage, carrots and onions mixed with roasted peanuts dressed in honey, olive oil, cumin and crushed black paper. 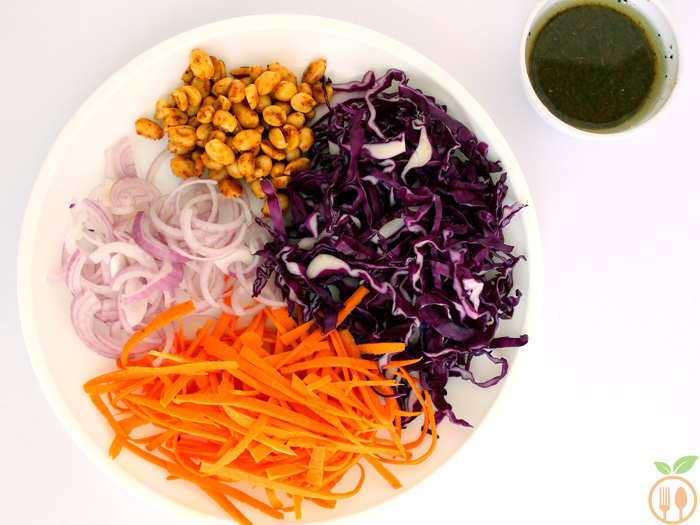 This Asian Red Cabbage Salad will be your best friend during this summer days and full of antioxidants during these mix weather conditions like humidity, rain and summer. To find out low calories food yet delicious is not difficult task. But to use those recipes in your day-to-day life is little more difficult to achieve. With so many diet plans, weight loss activity, and healthy eating schedules on daily basis seems to impossible. So, the Simple you make things to follow, the easier they are stick to and maintain for long time. It is high in fiber, vitamin A, vitamin C and full of antioxidants that will give you best detox for your day. Cut the vegetables at time of serving. You can make dressing earlier, and use it after 4-5 hours, it will give best taste. You can add soya sauce instead of vinegar, not both. To make masala peanuts, in skillet, add peanuts and roast it for 5 minutes. Then switch off the gas and add cumin powder, red chili powder and salt, give a stir and let it be in that hot skillet for 3 minutes. Use roasted peanuts into salad, once it cool down completely. 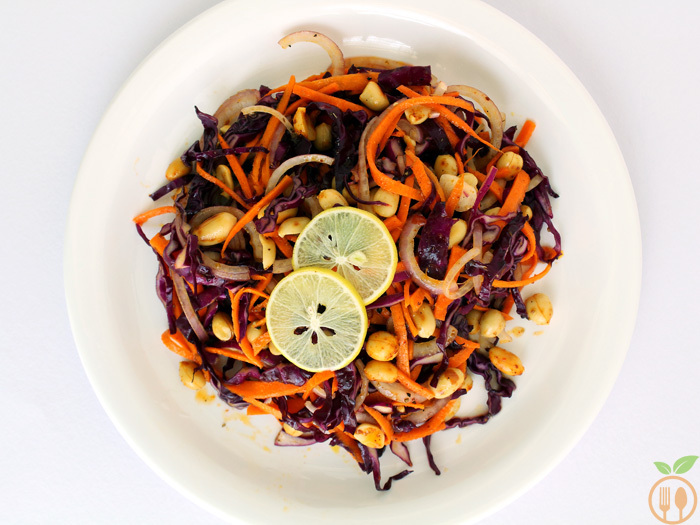 Asian Red Cabbage Salad - Shredded red cabbage, carrots and onions mixed with roasted peanuts dressed in honey, olive oil, cumin and crushed black paper. 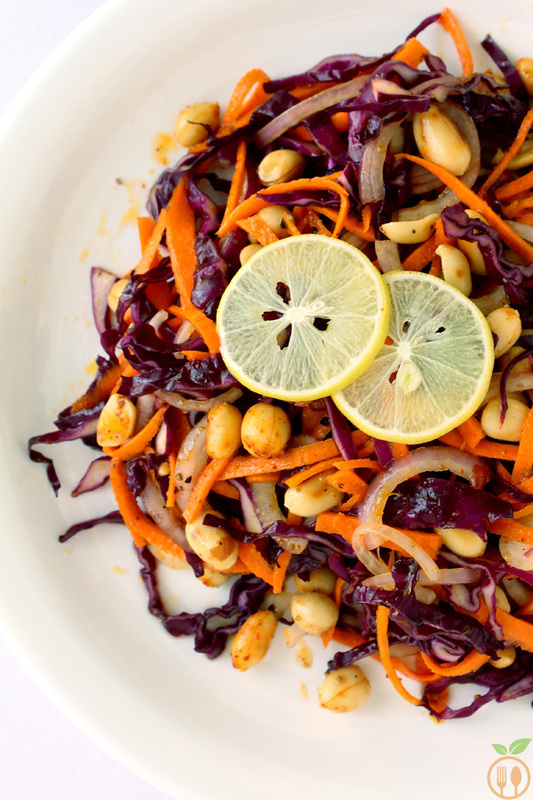 This Asian Red Cabbage Salad will be your best friend during this summer days and full of antioxidants during these mix weather conditions like humidity, rain and summer. To make dressing for the salad, mix all the ingredients and whisk them well. For better taste, you can leave the dressing for 4-5 hours. To make salad, you need to cut the all veggies and mix them together. I have used roasted peanuts with some masala like cumin powder, chili powder and salt. You can use only roasted peanuts without any seasoning. Or you can simply roast them into oven. At serving time, mix the dressing into salad and serve immediately. 1) Roasted peanuts will also give you the crunch that you want. 2) You can add more vegetables like red or green bell peppers and cucumber also. Welcome to Veggie Food Recipes! 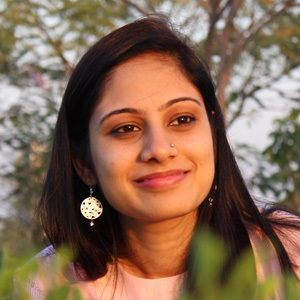 My name is Reena Vyas, former software engineer and now full time Food Blogger. My food blog is the highlight of my passion towards cooking. And by sharing healthy & vegetarian fusion of different cuisines I would like to contribute to the world of veggie food lovers…..!!!!! Welcome to Veggie Food Recipes! My name is Reena Vyas, former software engineer and now full time Food Blogger. My food blog is the highlight of my passion towards cooking. And by sharing healthy & vegetarian fusion of different cuisines I would like to contribute to the world of veggie food lovers.....!!!! !